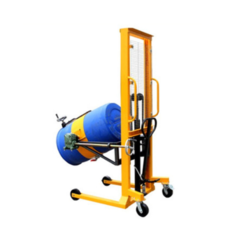 Our product range includes a wide range of manual hand pellet stacker capacity 2 ton, portable manual hand stacker capacity 400kg, manual hydraulic hand stacker, manual push walk behind straddle stackers, solwet manual stacker and portable manual forklift 400kg. 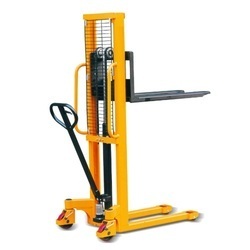 Manual Stackers or Pallet Stackers are lifting equipment which commonly used in a warehouse or factory setting for Material handling. 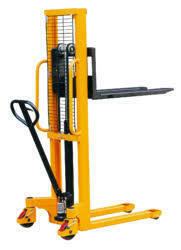 A stacker is a large machine used in bulk material handling. 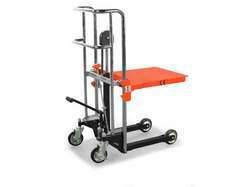 A walkie stacker or pedestrian walk-behind stacker is a walk behind pallet truck with a mast for lifting pallets to heights. 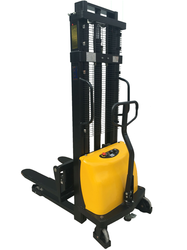 There are many different types of stackers that are suited to different applications and weight capacities. 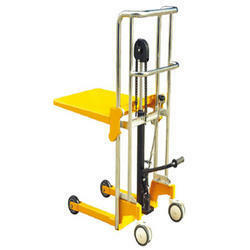 Hand Pallet Truck and Portable manual Stacker are suitable for material handling applications in warehouses. 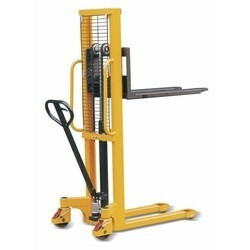 Looking for Manual Hand Stackers ?